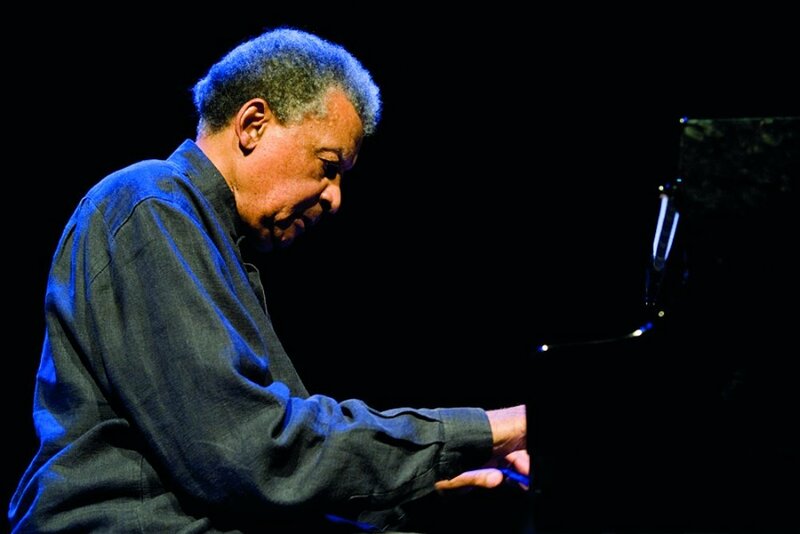 Last Tuesday, Abdullah Ibrahim, the 83 year old South African father of Cape Jazz, walked on to the Royal Festival Hall stage. He sat in front of his piano, placed his long hands on the keys, and introduced us to the concert with a medley of melodies retracing his work. The attention of the audience was caught for the rest of the concert, performed without any interruption. A certain intimacy was established between him and the audience as we were accompanied through his life story. He takes influence from all over the world, with swinging rhythms and bluesy melodies mixed in with highlife and church harmonies, and straight, slightly shuffled drum patterns. In particular, he takes a lot of influence from the jazz of Duke Ellington and Thelonious Monk. The genre is as colourful as the nation it comes from, and this performance certainly exhibited the essence of Ibrahim’s music and what makes him so unique. The performance happened as a continuous succession of tunes that mix together and echo back to each other, tracing back melodies he built up throughout his life. He started off by playing a medley of pieces on his own. Harmonically, he left it very open with strong dominant chords. The way he went about playing, including his mannerisms, was quite laid back and almost lethargic. Apart from a few fast runs, it was mostly sustained chords with a light melody to move between them. And what impacted the most was how he so confidently would end on a completely unresolved and dissonant phrase, just sitting there as if there was nothing wrong. It is what makes his music so special, as this feeling of unease will sit with you as long as he holds those notes. The band entered very subtly, with a cello and flute easing into the piano melody to introduce this dark, meditative atmosphere. When the whole band came in, it was one of the tightest, most beautiful entrances ever. A beautiful palette of sounds were explored with a horn section made of an alto, tenor and baritone saxophone, a flugelhorn and a piccolo. The baritone added a percussive sound to the horns and where a trumpet would have been too harsh, the flugelhorn fit just right to keep the horn section soft yet powerful. The piccolo (which the alto doubled on) contrasted with its high pitch, flying above the solid bass lines. And the bassist brought a huge amount of life to the performance, with fast moving lines that emphasised the rhythm whilst filling empty spaces. All of them approached their solos with a lot of intensity, which fitted as they were given a lot of space to fill as neither the horns or piano played behind (for the most part). Ibrahim left space for the music, creating an extremely simple and pure scene where one could focus all one’s attention on what was being played. Dissonances and unresolved phrases are scattered throughout the development of reassuring and beautiful melodies, provoking both uneasiness and wonder within the audience. It was great to see how Ibrahim reacted to his band. Most of the gig he spent watching his band as if in awe of his own work. And once the concert was over, he paraded them across the stage at least ten times, getting them to bow at every stage. You could see his pride in his band and rightfully so, as the performance was spectacular. Overall, it was a shiver-provoking performance which left the audience in a reflective mood.